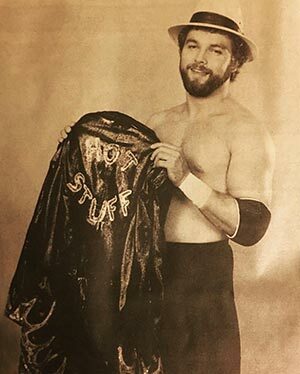 “Hot Stuff” Eddie Gilbert lived up to his nickname, seemingly doing what he wanted, when he wanted, and where he wanted. 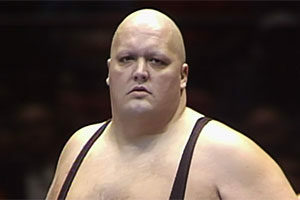 Although he was considered too small to be a top star, he found consistent work in the wrestling industry whether it was as a manager, booker, or wrestler. This second-generation star burnt bridges as quickly as he could build them, yet he never lacked for work, up until his death. Sadly, Gilbert’s personal excesses would end his life at the young age of 33. Eddie Gilbert and Sean Waltman. Eddie Gilbert was born on August 14, 1961. The son of wrestler Tommy Gilbert; Eddie had a younger brother Doug, who would also become a wrestler. Surrounded by wrestling, Eddie aspired to become “The King of Wrestling,” just as Jerry Lawler had become and Jackie Fargo before him. Eddie trained to be a wrestler and debuted in Memphis in 1979. He first wrestled as enhancement talent under his real name, Tommy Gilbert, Jr.
Gilbert’s career nearly ended when he broke his neck in an auto accident. Eddie recovered from the accident, but some believe it led to his lifelong battle with painkillers. In Backlund’s memoir, Bob discusses how he saw Gilbert battling drug abuse in the WWF. Eddie Gilbert got his first major push when he returned to Memphis in 1984. 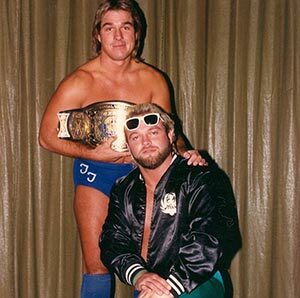 Gilbert teamed with Tommy “Wildfire” Rich to form “Fargo’s New Fabulous Ones” after the original Fabulous Ones (Stan Lane and Steve Keirn) left the area. 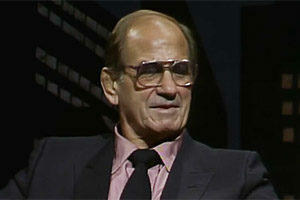 Gilbert and Rich split, with Gilbert turning heel and feuding with Rich, and later, Jerry “The King” Lawler. Gilbert became a big draw in Memphis during this time. 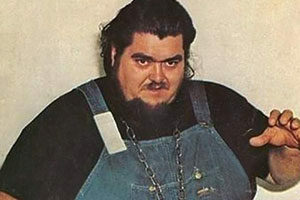 After his run in Memphis, “Hot Stuff” went to Mid-South Wrestling where he managed a number of heels. Despite his small size, Gilbert was a heat magnet so when he did wrestle, it was a big event where fans longed to see him get his comeuppance. Gilbert allied (and eventually married) wrestling sexpot Missy Hyatt around this time, leading to the WWF wanting to bring them into the company. When Gilbert threatened to leave Mid-South, Watts gave him the job of head booker. One of his biggest booking angles occurred when he and his henchmen the Russians, beat up Mid-South owner and wrestling legend, Bill Watts; draping the Russian flag over him. Over the next few years, Gilbert participated in some of wrestling’s hottest angles. 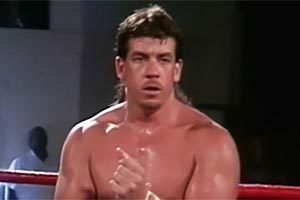 Gilbert went to work in Jim Crockett Promotions where he feuded with Ric Flair and Barry Windham, bringing in Ricky Steamboat as his surprise partner (this led to the famous program between Flair and Steamboat). Unfortunately, Gilbert hit Lawler harder than he thought and Lawler was injured. 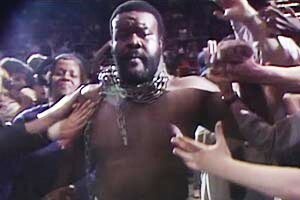 Several fans called the police and an injured Lawler had to explain the incident was a work. 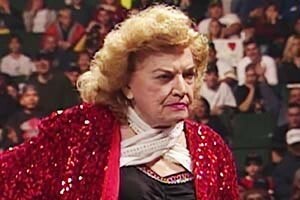 “Hot Stuff” had a well-earned reputation for flaking out on promoters. He might be in a promotion one day and gone the next, yet he never had trouble finding work because of his talent. Eddie Gilbert and the late Nancy Benoit in an undated photo. Gilbert found his talents as a booker in steady demand. He worked in the Global Wrestling Federation, Eastern Championship Wrestling (the precursor to Extreme Championship Wrestling), and Japanese promotion W*NG. Gilbert burned bridges in all three, walking out on them. He returned to Memphis (now known as the USWA) where he stayed there until he walked out on them when someone else got the booking job he wanted. Although Gilbert’s talents had made up for his shortcomings, he was beginning to reach the end of his rope. He went to work in Puerto Rico’s WWC, finding success as a main event heel. However, Gilbert wanted something else and left. 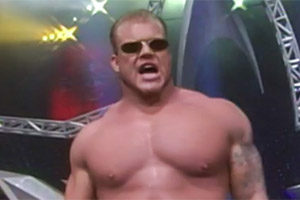 He appeared in the NWA World Heavyweight Championship tournament before surfacing in Jim Cornette’s Smoky Mountain Wrestling. Once again, Gilbert stepped away, returning to Puerto Rico. “Hot Stuff” worked as a booker in Puerto Rico, bringing in his childhood friend Ken Wayne as his assistant. Gilbert’s last match would be against a wrestling bear. On February 18, 1995, Ken Wayne discovered Gilbert’s body in Isla Verde, Puerto Rico. The cause of death was listed as a heart attack, but Gilbert’s cocaine use may have played a contributing factor. Eddie Gilbert is buried at Lexington Cemetery in Lexington, Tennessee. He was 33 years old and survived by his brother Doug and father Tommy. Eddie Gilbert was married to Missy Hyatt for roughly two years and to Debrah Ann Miceli (aka Madusa and Alundra Blayze) for a short time in 1990. Several other notable wrestlers passed in the 90s including Brian Pillman, Art Barr, Kerry Von Erich, David Von Erich, Louie Spicolli, and many more. 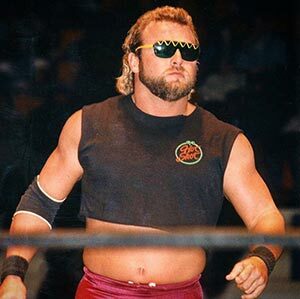 What are your memories of “Hot Stuff” Eddie Gilbert? Be sure to share them in the comments section below.